Hells Gate in Alabama, ghostly happenings. Little can be found about the history of Hells Gate, after all it is just a bridge, sorry that I have to provide you with less information than I would like to but as I said, it's a bridge. Reports of paranormal activity at the bridge seems to be mostly folklore. There have been two confirmed deaths at this location, which were of a couple who died in an accident. 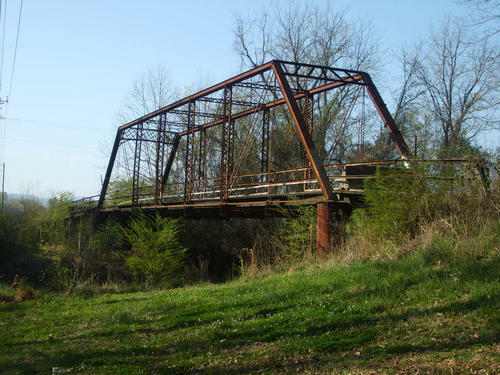 The most popular local tale tells that if you stop on the bridge and look behind you, the road appears to look like the fiery gates of hell. Another tale includes that if you stop your car on the bridge and get out for a few minutes, then there will be a wet patch on the seat, thought to be from the ghost of a member of the couple who died in the accident. The last most common story of the bridge includes that if you walk up the road from the bridge towards the nearby mansion, then you will be chased by a ghostly car that wont disappear until you reach the bridge again, this to me sounds a little hard to believe. However, the tale about the road appearing to look like the gates of hell has been reported by many people, as has the ghost car. I leave it up to you, the reader to make of these stories what you will.